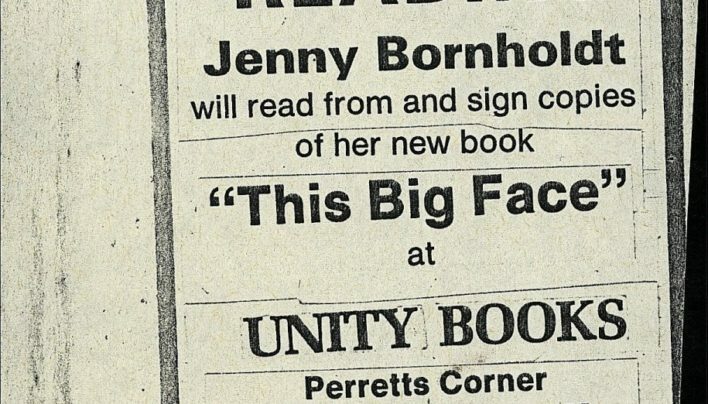 Advertisement for a reading by Jenny Bornholdt from her new book of poetry, This Big Face (Victoria University Press). 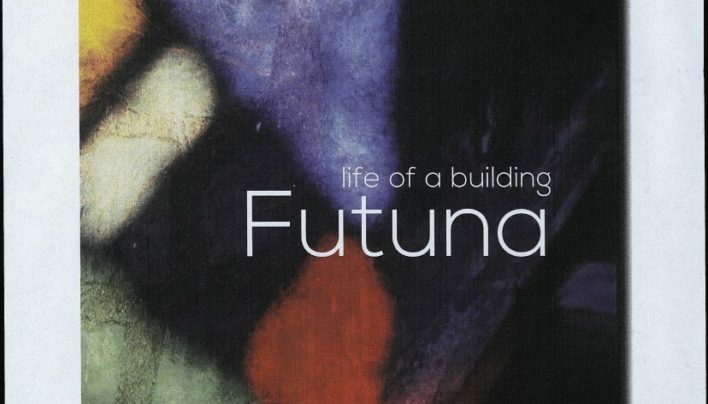 Invitation to the launch of Futuna: Life of a Building edited by Nick Bevin and Gregory O’Brien (Victoria University Press). 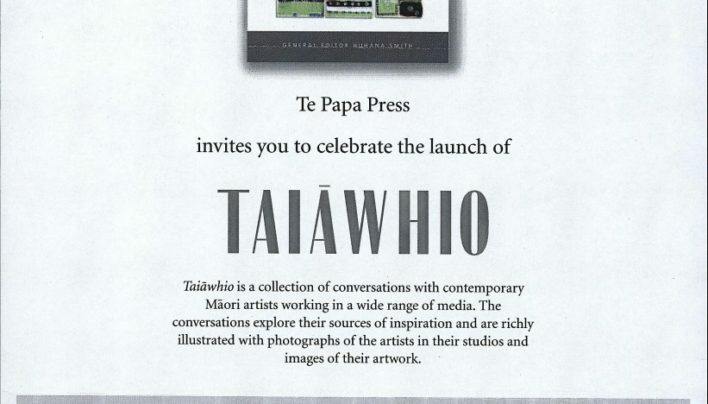 An invitation to the launch of Taiawhio: Conversations with Contemporary Maori Artists edited by Huhana Smith (Te Papa Press). 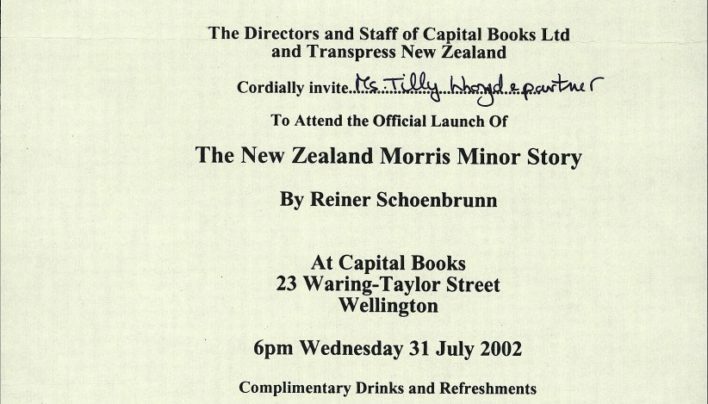 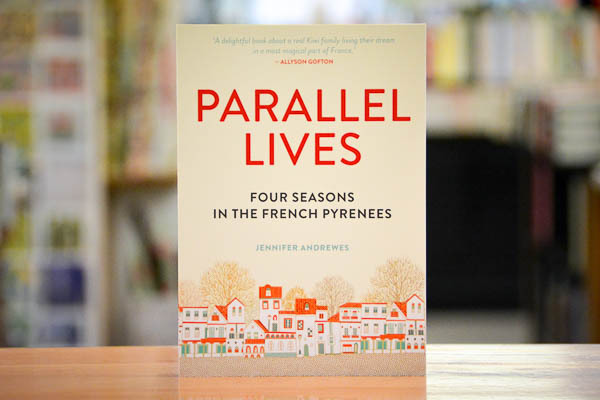 Tilly Lloyd was invited to attend Capital Books for the launch of The New Zealand Morris Minor Story by Reiner Schoenbrunn (Transpress).